While we’re still a couple of days away from Toy Story Land opening, more information is coming out of the land today. When being shrunk down to the size of a toy this summer, make sure you take your phone with you. Woody’s Lunch Box will support mobile ordering for hungry toys. 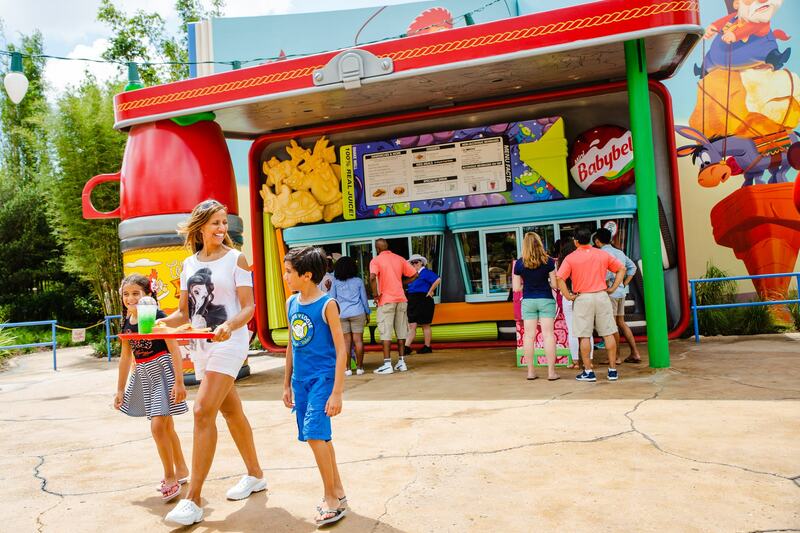 With Toy Story Land set to be a popular destination this summer and beyond, we highly recommend the use of mobile ordering. Check out our thoughts on the mobile order system when it debuted in Pandora – The World of Avatar. Here’s a look at the food coming to Woody’s Lunch Box when Toy Story Land opens this Saturday, June 30th at Disney’s Hollywood Studios.